Manchester United captain Nemanja Vidic returned to action after eight months out injured as he played an hour of the 0-0 friendly draw with Valerenga. 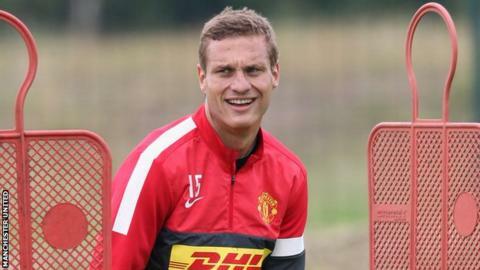 Vidic, 30, missed most of last season after he suffered knee ligament damage against Basel in December. "I felt well," the defender told MUTV. "My knee felt well and hopefully the next game will be better." Assistant Mike Phelan took charge in Norway as manager Sir Alex Ferguson attended to "other club business". Left-back Patrice Evra also missed the game after he travelled back to Manchester to be at the birth of his child. Both men are expected to return for Wednesday's friendly against Barcelona in Gothenburg, Sweden.